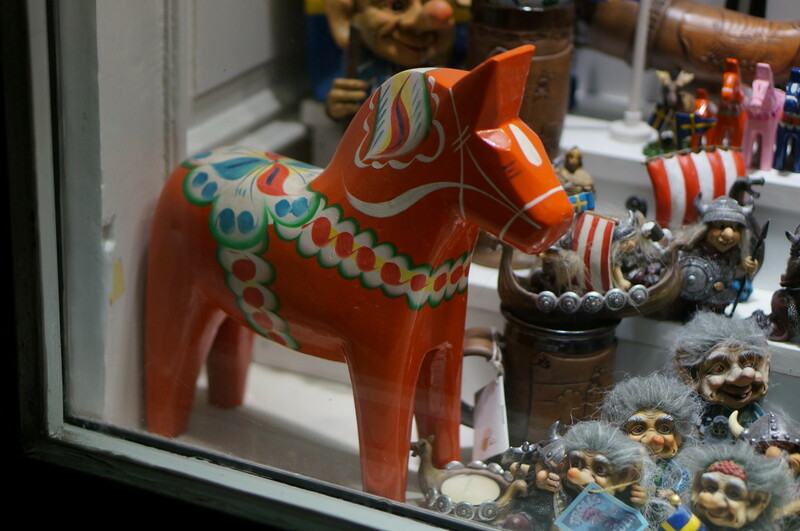 Dala horse sits among the trolls and other souvenirs in a shop window in Gamla Stan. 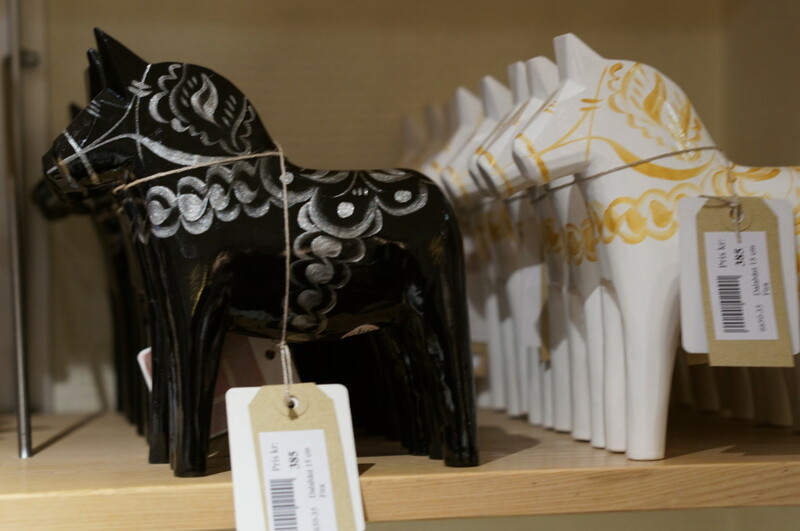 If you are obsessed with Swedish design like I am, you are probably familiar with the wooden Dala horse (Dalahäst) — it’s often used as a colorful accessory in Swedish decor. 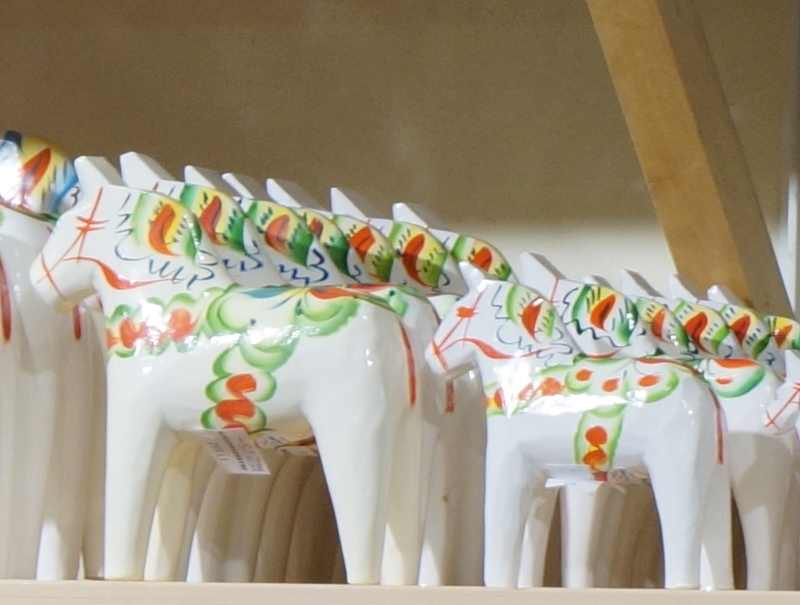 Although the originals are hand carved and painted in Dalarna, you can find Dala horses in shops all over Stockholm. Why are Dala horses so famous? Where did they come from? In my research, I learned that there is some controversy surrounding the origins of the Dala horse. 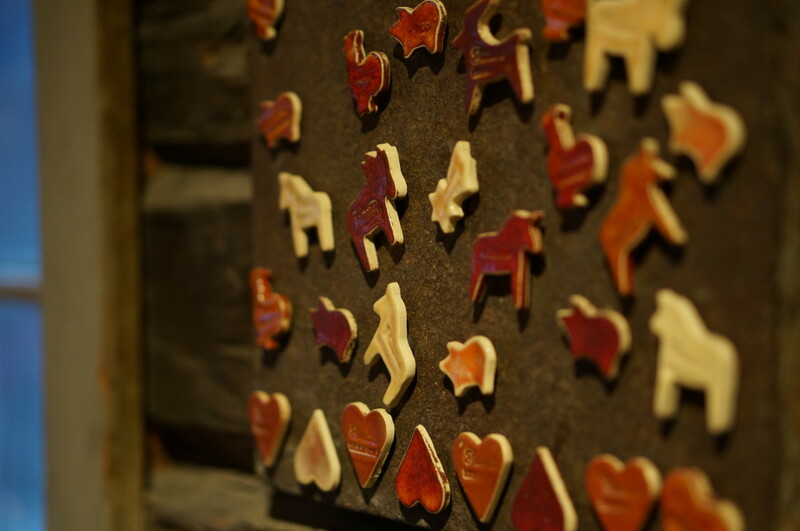 There is no doubt that Dala horses were first carved hundreds of years ago, deep in the Swedish woods, as a way to pass the time during long winter nights. But could there also have been a more sinister reason for their creation? According to British author Chris Mosley, Dala horses may have been used in 17th century devil worship rituals. Mosley points to wooden horses found in Viking graves and theorizes that when Christianity took root, wooden horses were made covertly as links back to the old pagan religions. The horses are even referenced in Swedish witchcraft trial documents. I was surprised to learn that not only does Sweden have a history of witchcraft trials, but also that these trials, witnessed by none other than Salem’s Cotton Mather, may have served as the “inspiration” for the Salem trials. I would have loved to read more in Mosley’s book, The Magic Horse “Devil’s plaything” that became a national symbol, but the $359 price tag on the out-of-print book halted further research. (Tip: do not try googling “Dala horse” and “devil worship” unless you want to be directed to questionable websites, including several wiccan communities). But those days of pagan worship are long forgotten, and now the Dala horse is nothing more than a beautiful craft and a popular a symbol for good luck. Dala horses can be spendy, running up into the hundreds of dollars, depending on the quality and size. One way to save is to buy a naked Dala horse and paint it yourself. If you are in the market for a painted horse, they come in many colors. Red is the most traditional. I found some cheaper options at shops in the tourist areas– these were only about $60 US, but weren’t nearly as nice as others I saw costing double or triple that amount. 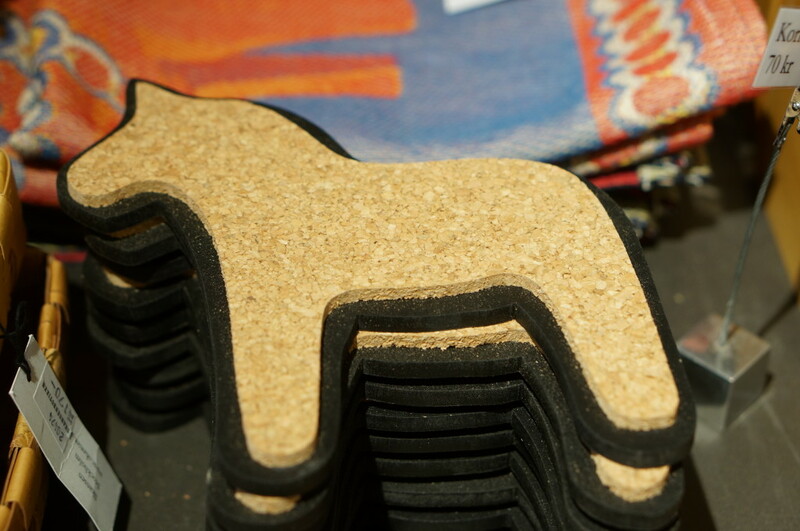 A Dala horse trivet made of lightweight cork. 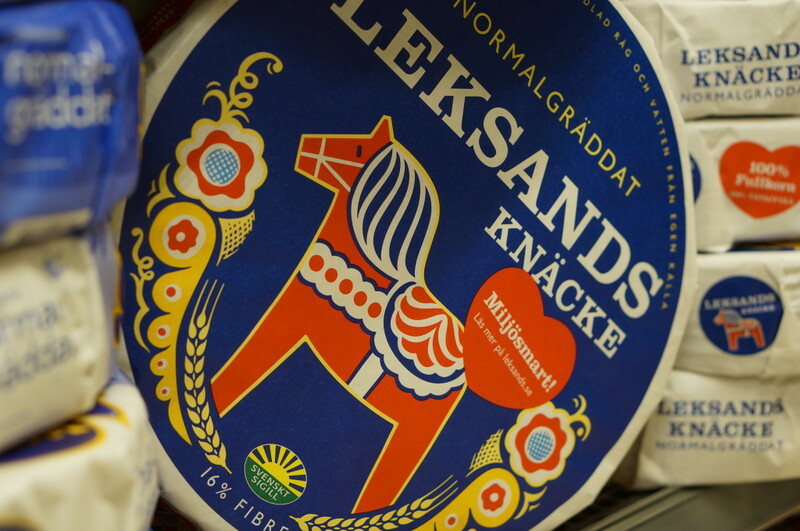 You’ll even find the colorful horse adorning grocery store items, like this Swedish crisp bread. 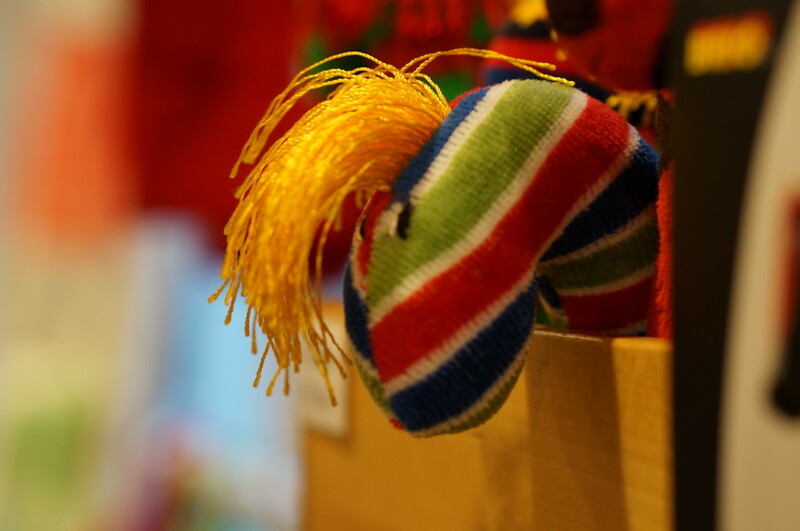 Have you bought a Dala horse in Sweden? Share in the comments below! 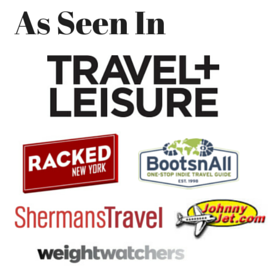 All photos by Souvenir Finder, copyright 2014 and may not be used without express permission. 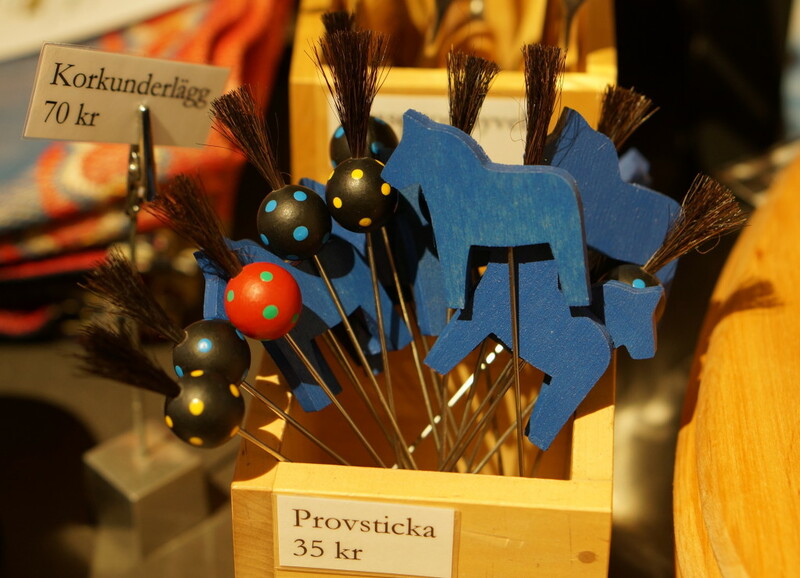 27 Responses to Dala Horse: Adorable Swedish Souvenir…or Devil’s plaything? I find it interesting how any time early Christians confronted an ideology that was foreign to them, they immediately considered it was the work of the devil. I refuse to believe that something as pretty as that blue horse is meant for devil worshippers. Thanks for sharing this with us! Hi Jen, thanks for commenting! I agree, the hysteria around the witch trials in the US and abroad is pretty hard to believe. 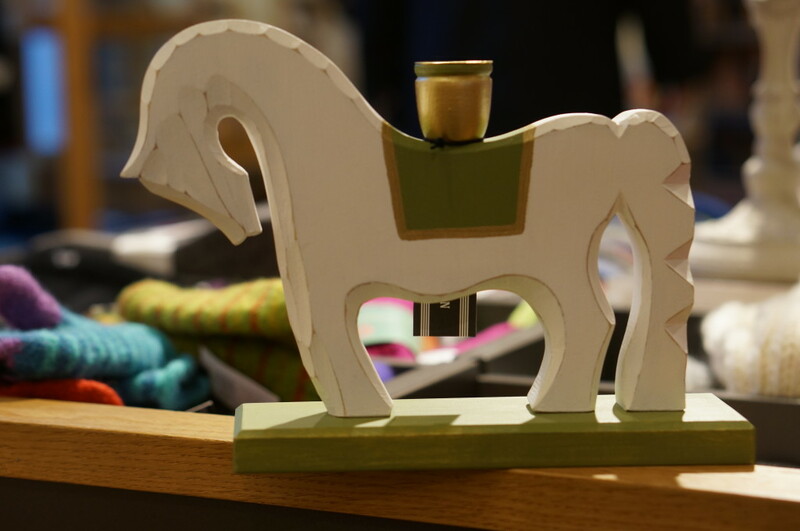 The horse is definitely adorable, I hope to visit Dalarna one day to watch them being made! Thanks for this. We have one. A red horse. Nobody seems to know why we have it or how it came to be here. But, at least I know what it is now thanks to you. I think we got it in Malmo, Summer2012. But, that’s only thing I can think of. Is this the most recognisable symbol for Sweden, or would you say there is something else? I’m no expert on Sweden so I can’t say what the most recognizable symbol is– I was just citing other sources–my guess would be the flag. I think Dala derives from Dalarna, the area where the horses are made. The Dalahästarna are certainly one of the most recognizable symbols of Sweden. Other prominent symbols include the three golden crowns, and Moder Svea, a woman in armor and a sword standing by a lion. And for some people, a moose. The name Dala does come from Dalarna, the region of Sweden where they are made. Dalarna means “The Valleys”, so you could say Dalahäst translates to “Valley Horse” or “Horse From the Valley”. It’s related to the English word dale. Dalarna is the area of Sweden which is arguably closest to the ancient Swedish traditions. They’ve kept many of the oldest customs alive–in fact, in some areas of Dalarna people were still using a variation on the Viking runes to write Swedish all the way into the 1800s! Thanks so much for your insight and detailed explanation, fascinating! 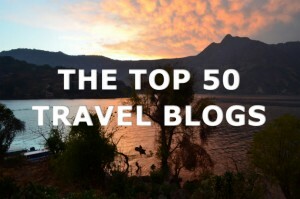 I would love to go back to Sweden for a longer visit and visit the Dalarna area– on my wish list! Haha yes go back 400 years and who knows what you can find! I thought it was amusing more than anything– I did want to read that pricey book to read more, but it’s not even available at the New York public library. Haha I wish I knew– I did google it but I couldn’t really figure it out– it is some sort of kitchen tool. I’ll edit the post and ask my Swedish readers for help! As a Swedish speaker myself, I think I can help here. “Provsticka” roughly translates to “test-poke”, and it’s used to test things like cakes to see if they are finished baking, similar to sticking in a fork or a toothpick. It’s just a longer, more specialized tool for that. Thank you so much! That makes sense, now I wish I’d bought one, they’re so cute (and useful). Provstickas are a type of toothpick, I believe. Thanks Jody! That makes sense! A provsticka is used like sueslaght describes… to check if the food is ready. Mainly used for our national dish – cooked potatoes =), but works for all forms of food that supposed to “go soft” when ready I guess! A provsticka is used like sueslaght describes… to check if the food is ready. Mainly used for our national dish – cooked potatoes =), but works for all forms of food, that supposed to “go soft” when ready, I guess! Btw do you have any suggestions what to give to a foreigner, when they leave Sweden, after a three month stay? … Would a Dalahäst be a nice gift? IKEA occasionally has mass-produced large wood Dala horses — I have seen them in natural wood, plain white, red, and black. My daughter in law bought 4 of them and made an (admitedly heavy!) wheel-chandelier with a “Four horses of the Apocalypse” theme: she had one white, one black, one red, and painted the fourth yellow-green. It was suspended by 4 black chains and had 8 LED candles on it; wasn’t scary, just cute. I have one made of glass, gifted to me by one of my Swedish friends. I would love to upload a picture but don’t know how. It is possible to buy Dala horses second hand in Sweden if you know where to look and they are obviously older but worth getting I purchased two in the outskirts of Goteborg and paid a lot less. It was during a wtch trial in Mora, a city in Dalarna, the church accused the dala horse to serve the devil and the “witches” was beheaded or burned.. Anyway – horse was a symbol for fertility and connected to the God Frej so there is probably the oldest connection. Have a nice day! Greetings from a snow covered Sweden. Thanks for writing in! Yup google can lead you to some interesting facts! Oh I’m sure it’s beautiful there, I hope to return soon!